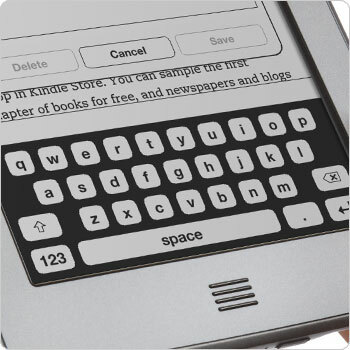 The all new Kindle Touch is the first Kindle that comes with a multi-touch screen. There are 2 models: Wi-Fi Only model and 3G (+ Wi-Fi) model. Don’t expect the screen content to flow fluidly when swype. It depends on how much you use wi-fi connection to shop, surf, and downloading content. View “Bones of the Book” based on various places, characters, ideas or interests found in a book. Jump directly to Wikipedia for more details on select subject. Experimental Browser:Does not support Flash. Amazon does not make it an selling feature, but it functions acceptably. 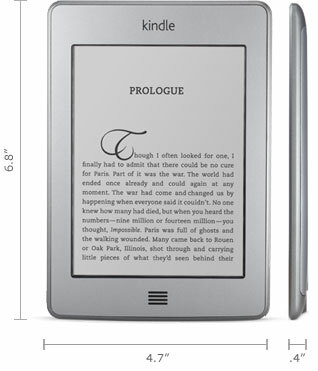 Let Kindle read to you! No Page Turn Buttons ! I find this lack of page turn rather disappointing! There are “with ads” model and “without ads” model. Ads (or Special Offers) appear on the bottom of your home screen. You pay $40 less on with-ads model. Hands on video. See if you like how it looks, how it works, especially how it responds to your finger.